Followers of this blog will know that I have spent a lot of time writing about Oneness Pentecostalism, because, as I pointed out in my article My Conversion From Oneness Pentecostalism To Biblical Christianity, I used to be a Oneness Pentecostal and I think that this issue is very important. However, some Christians have replied to my posts defending the trinity by suggesting that this debate is just theological nitpicking. Trinitarians believe that there is one God who is eternally present in three persons. Oneness Pentecostals believe that there is one God and that the Father, the Son, and the Holy Spirit are manifestations of that unipersonal God. We both believe that Jesus is God, so why does it even matter? Is the Oneness versus Trinity debate just theological nitpicking? In the name of transparency, I will state at the outset that I do not think that this is a secondary issue. Oneness Pentecostals are not our brethren. They need evangelism because they preach a different gospel and a different Jesus. Those words may be hard to hear and some may accuse me of being overzealous or inflammatory, but that is the hard truth. I wish with all of my heart that I could affirm Oneness Pentecostals as brethren. There are many fine ladies gentlemen who seem to have a sincere heart within the Oneness Pentecostal movement. But I must base my convictions on Scripture and nothing else. (However, I do think that there could be some members of the Oneness Pentecostal church who are saved.) So, why have I taken this position? Why is the Oneness versus Trinity debate more than theological nitpicking? To Whom Did Jesus Offer Himself As A Sacrifice? While it may not be the position of the sophisticated scholars within the Oneness Pentecostal church, the average parishioner in a Oneness Pentecostal congregation will ascribe to a view known as patripassianism. This is the view that the Father himself died on the cross of Calvary. The Father was hungry, thirsty, and tempted. The Father endured the passion of the Christ. It might even be said that there was no Father in Heaven and that he was exclusively on earth. As a man, the Father died on the cross. But this brings us back to one of the most important, central doctrines of the Christian faith. Why did Jesus die on the cross? The apostle Paul tells us that Jesus died as a sacrifice for our sins, dying in our place, taking the punishment that we deserve (Romans 3:21-25). We are criminals in God’s sight, and Jesus stepped in and paid our fine. Now, just as his death was our death, his resurrection is our resurrection. As trinitarians, we maintain that Jesus offered himself up as a sacrifice to the Father. That is why Jesus said, “Father, into your hands, I commit my spirit.” (Luke 23:46). If it was the Father himself who died on the cross, then to whom did Jesus offer himself as a sacrifice? It seems to me that the answer would have to be nobody. It was the Father himself who died on the cross. But Paul tells us that Jesus died to satisfy the wrath of God. Hebrews 10:12 tells us that Jesus offered himself once and for all. If it was the Father who died, then he did not offer himself to anybody, and there was no atonement. Patripassianism therefore seems to undercut the central doctrine of the faith. Perhaps this is why the sophisticated Oneness Pentecostal theologians do not ascribe to patripassianism. They have developed a more nuanced theology. Men such as David Bernard, David Norris, Robert Sabin and Nathaniel Urshan maintain that it was not the Father who died on the cross. The Son did. The Son was the human nature of Jesus. The Father was the divine nature. Of course, as Christians, we believe that Jesus had two natures: one human and one divine. But these theologians have titled the divine nature Father and the human nature Son. 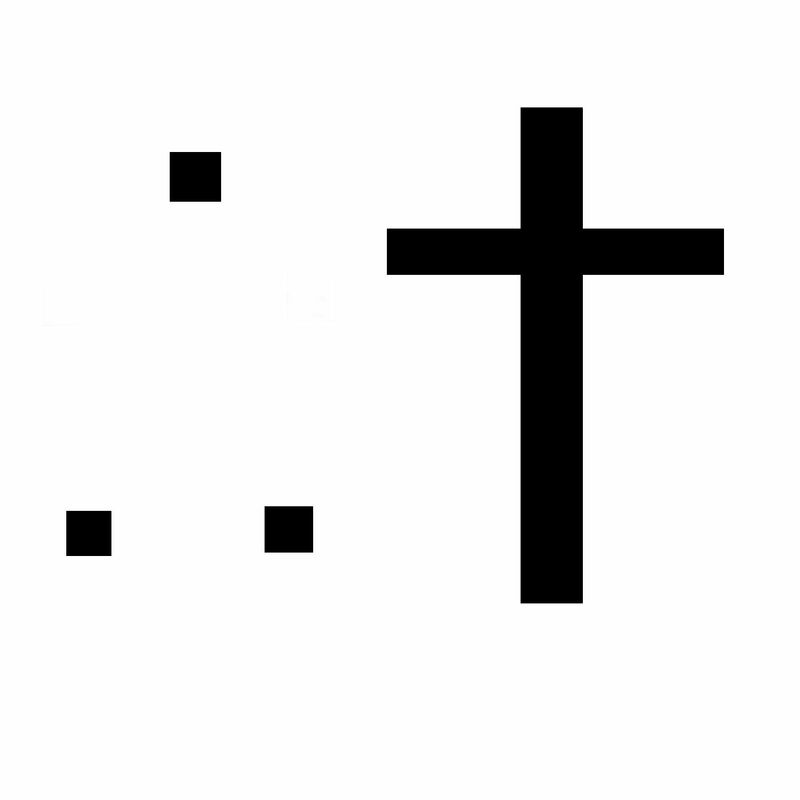 From this it follows that it was the Son who died on the cross, not the Father. There are two problems with this view that I think cut to the core of Christianity. First, consider why it is that the atonement was efficacious. Why was it at all effective? Sometimes atheists will ask how it is that the death of one man could atone for all of the sins of the world. He was just one man, after all. It would be something like if I tried to pay off the national debt by donating one dollar to the federal government. It is just insufficient. However, God as an infinite bank account. If God died on the cross, atoning for our sins, then this problem would be resolved. Jesus Christ is worth so much that his death could atone for our sins. But if it were merely the human nature of Jesus that died, how could we say that our sins were truly atoned for? It would just be the death of a man – a single dollar, paying off the debt of the federal government. Is God A Master of Illusions? How do we know that the doctrine of the trinity is true? Often, we will appeal to the baptism of the Lord Jesus. When he was baptized, the Holy Spirit descended upon him like a dove and we could hear the voice of the Father from Heaven. There seem to clearly be three distinct persons in this image. That seems inescapable. How do Oneness Pentecostals escape it? Typically, they will suggest that since God is omnipresent, he can appear as three persons at the same time, and this is not a problem. They are just different manifestations. They will say the same thing about when Jesus was praying. Some might be inclined to think that this is an equally valid interpretation, and so neither the prayers nor the baptism of Jesus can be used as an argument for the distinction of persons. I think that is a little misguided. If God were exercising his omnipresence in these instances, then that would just be to say that God was tricking people into believing the trinity. God appeared as three persons. How can anybody truly be blamed for believing in the trinity when God is appearing as three distinct persons? God would have to be a master of illusions and deception. The relationship between the Father and the Son that is portrayed in the prayer life of Jesus would be an utter farce. Jesus would be praying only to himself. That is why this is more than theological nitpicking. As trinitarians, we maintain that we can believe that which God has revealed. God is not putting on a show or tricking us. This is one point that many people may find difficult to grasp. After all, Oneness Pentecostals do believe that Jesus was God. They believe in the incarnation. How can we say that they are different gods? We may disagree about the extrinsic characteristics of God, but it would still be the same God because they believe in the incarnation, right? Well, I do not think that is the case. Oneness Pentecostals may believe in the incarnation, but the one who became incarnate would have to be a different God. A Hindu could believe in the incarnation, that one of the gods because a man and walked the earth as Jesus of Nazareth. But it would be a different god. So, why is Oneness Pentecostalism in the same category? This is where the doctrine of God becomes important. If the intrinsic (unchanging, necessary) qualities of God are different, then I do not see how we would have the same God. Oneness Pentecostalism holds to a unipersonal conception of God. Trinitarians maintain a tri-personal conception of God. We believe in a God who is eternally present in three persons. Do Oneness Pentecostals believe in that God? If they do not, then I do not see how we can affirm that they believe in the same God. One might be inclined to suggest that all Christians disagree about something. I might believe in credobaptism over paedobaptism (that is an example, not an affirmation). 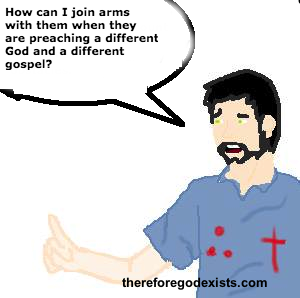 Would my reasoning entail that I believed in a different God? I do not think so. The debate between credo and paedo does not compromise the intrinsic characteristics of God. They only alter how God relates to the world and the manifestation of his covenants. But the trinitarian God is not the same deity as the unipersonal God. Oneness Theology does not come in a vacuum. If you were preparing to ascribe to Oneness, you would likely merge into a Oneness Pentecostal church. They maintain many beliefs that are in utter contrast to Christian theology and stand opposed to the gospel of grace. You may be able to find some obscure oneness church that does not maintain the corollaries of Oneness Theology, but they would be few and far between. You would most likely find yourself in a Oneness Pentecostal church. What are these corollaries? Well, first, you would have to be re-baptized into a oneness formula. They believe that to be saved, one must recite the words “In the name of Jesus.” This is because baptism is the mechanism that washes away sins, and the words “in the name of Jesus” is what makes the baptism effective. But even after your sins are washed away by the waters of baptism, you would still not be secure. You would need to go through the baptism of the Holy Spirit with evidence of speaking in tongues. That is what people will say in response to articles about Oneness Pentecostalism, especially my series Oneness Pentecostal Heresy. 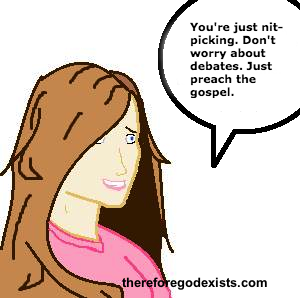 Why focus so much on debates when you could be preaching the gospel to non-believers? The answer is simple. This is not just a minute theological point that we can forget about. I cannot just join arms with a Marcus Rogers and preach the gospel alongside him. As much as I like him and my other Oneness Pentecostal friends, that is not something that I could do in good conscience. To preach Oneness is to preach another God, another Jesus, and another gospel. Therefore, there is a sense in which by engaging in these debates, we are in fact preaching the gospel to unbelievers. People who openly repudiate the doctrine of the trinity and justification by faith alone are not those who we can partner with to share the gospel with the unbelieving world. They are the unbelieving world. I am sorry to say that. Mr. Rogers and the many passionate individuals like him may be zealous, committed, and kind-hearted, but that does not change the hard reality. By refusing to tell the hard truth, one is refusing to love one’s neighbor. My Conversion From Oneness Pentecostalism To Biblical Christianity «» Should The Testimony of Practicing Homosexuals Change Our View?